Founded in 1990 in Canon City, Royal Gorge Anglers is the oldest fly shop and guide service on the Arkansas River. In addition, Royal Gorge Anglers is the only Orvis Endorsed Outfitter on the entire Arkansas River drainage. Founders, Bill Edrington and Jan Carson opened the doors to a world of fly fishing for anglers around the nation; and year by year the business grew into something much more, a fly fishing tradition in Colorado. Bill Edrington literally wrote the book on fly fishing the Arkansas, "Fly Fishing the Arkansas," published in 2000, and Royal Gorge Anglers has since been the authority on fly fishing the rivers, streams and stillwater of Southern and South-central Colorado. In 2010, Bill's son Taylor Edrington, returned from 10 years guiding the rivers of Southwest Alaska to take the helm and completed purchase of the flyshop. The following year, Taylor transformed the flyshop into what it is today. Moving the flyshop 2 miles west of Canon City to a private 50 acre property boasting a new 3000 square foot log flyshop and 5 bedroom lodge. Royal Gorge Anglers, however, maintains today the tradition that was instilled in 1990; focusing on top level service, education, and superior quality in guides and products. Royal Gorge Angler's is now the premier Orvis Endorsed Outfitter of the Southern Rockies, offering the most experienced and talented fly fishing guides on the Arkansas River, South Platte River, and numerous other watersheds. The Royal Gorge Anglers Guide Service offers over 35 different angling adventures, now featuring pack trips to high mountain lakes as well as multi-day high mountain stream trips. 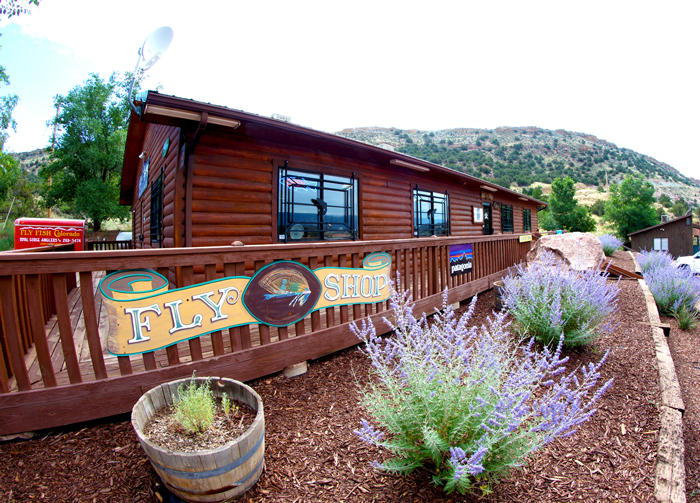 The Royal Gorge Anglers flyshop offers the shopper a low stress, highly educational experience. Our staff are here to ensure that every angler or non-angler alike, understand the intricacies of every product they may be interested in. Every flyshop staff member also guides or instructs, so you can be assured that you are recieving the best advise on gear, clothing and flies, straight from the experts. Royal Gorge Anglers' ultimate goal is to offer the finest quality products shop-wide at the best possible price point. There is something for every shopper at Royal Gorge Anglers! We are proud to offer THE FINEST QUALITY BRANDS in the industry, including: Orvis Fly & Tackle, Sage Fly Rods/ Reels, Hatch Reels, Patagonia, Simms Fishing, Umpqua Feather Merchants, Montana Fly Company, Beulah Fly Rods, Redington, Natures Spirit Tying Materials, Loon Outdoors, Yeti Coolers, Northwest River Supply, and much more! 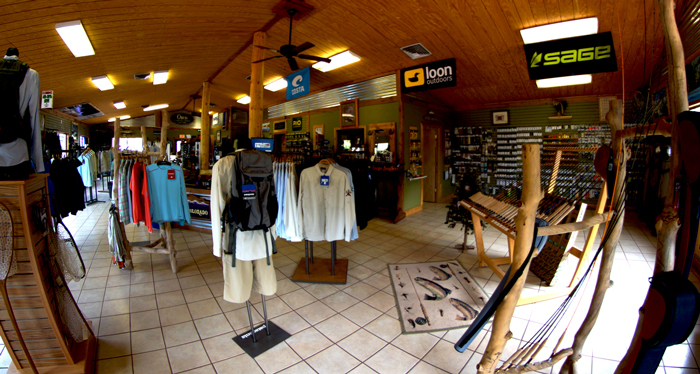 Take a Virtual Flyshop Tour!